In the United States February has been celebrated as Black History Month for the past four decades or so, with schools, media, institutions and celebrities taking the opportunity to highlight the accomplishments and historical experiences of African Americans. In recent years, Germany has joined a number of other countries, namely Canada and the UK, with its own Black History Month events. In Germany, people with a black African background use the term “Afrodeutsch” or “Schwarz” to identify themselves. Their ethnic backgrounds are varied: many are immigrants or children of immigrants from African countries, some with one white German parent; others are the children or descendants of black US soldiers who were stationed in Germany as far back as the 1950s. It is impossible to say how many black Germans there are, however; in 2008, Spiegel magazine used the number 500,000, though ethnicity is not officially counted. Narrated by Cuba Gooding Jr.
Two recent memoirs by German authors with an African connection emphasize that German history cannot be written without including the histories and perspectives of black Germans (as well as that of many other non-white people). In Deutsch sein und Schwarz dazu [Being German and also Being Black], published in 2013 with Deutscher Taschenbuchverlag, author Theodor Michael takes a long and probing look back at his experiences as a black German. 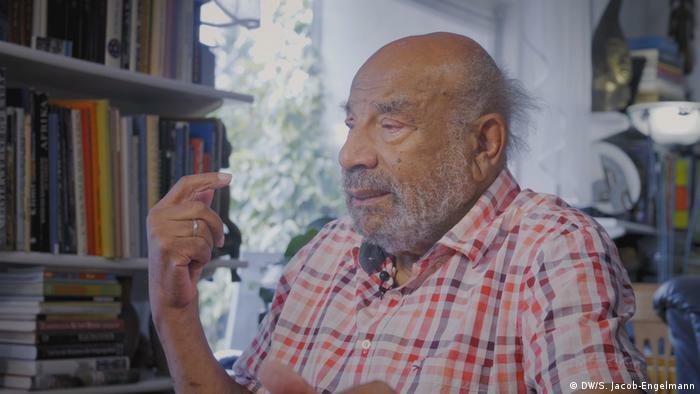 Born in 1925 to a white German mother from the Eastern Prussian provinces and a black Cameroonian father, Michael’s childhood and youth coincided with the decline of the democratic German Weimar Republic and the rise of National Socialism. Read the entire review of the books here.